Every year, we partner with specialized corporations to make the competition as valuable and resourceful as it can be! The EBV IoT Hero is a great initiative of EBV Elektronik supporting techpreneurs all over Europe. 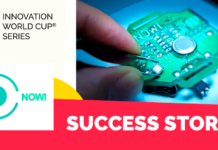 This year the Avnet company that specialises in the EMEA semiconductor distribution continues its collaboration with the Innovation World Cup® Series to support IoT techpreneurs in building up their solutions and making them visible! “At EBV, our goal is to foster promising solutions on a successful journey to the market. Together with the Innovation World Cup®, we seek top innovative developers to empower them to design new solutions and improve existing ones.” says Thomas Staudinger Vice President Marketing, EBV. They look for the next EBV IoT Hero and provide the contestants with free software development kits (IRIS and HERACLES). 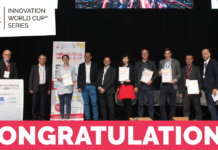 The EBV IoT Hero enables contestants to win €10,000, build valuable networks and boost the development together with the StartmeUp Team, their sales division that is dedicated for start-ups! 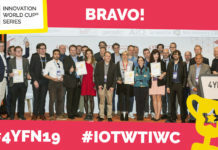 Including the EBV IoT Hero special prize, the contestants have the change to win prizes worth over 500,000 Euros and become part of the expanding ecosystem. 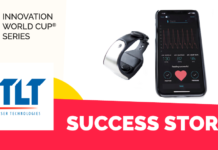 For more than a decade, the Innovation World Cup® Series has been recognizing the disruptive IoT and Wearable potential that lies in the hands of the creative techpreneurs around the world! Next, we together with EBV Elektronik are going to check out the start-up scene at the Wolves Summit in Poland and IOTHINGS in Milan where interesting panel discussions and networking opportunities will take place! Please let us know if you want to meet us there! 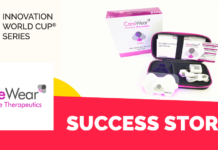 Previous articleA new partnership with Startup India Hub begins – the Innovation World Cup® Series goes Desi!